Oven baked pineapple spareribs. 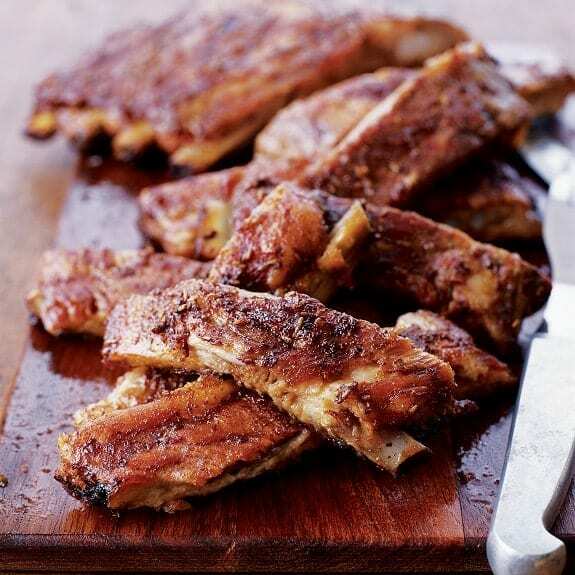 Marinated pork ribs baked in oven.Yummy! In a deep bowl,combine pineapple juice,corn syrup,soy sauce and salt. Add spareribs and marinate for 1 hour,turning occasionally. Bake until meat is tender(approximately 1 hour). Turn over a few times during cooking process and baste with marinade. Serve oven baked pineapple spareribs hot.